Previously known as California Speedway this modern race facility hosts racing events such as NASCAR. There are two configurations that are used for HPDE track days. The Interior Course (no oval) at California Speedway has a long front and back straight capped off by turns at each end. This track is usually ran in the clockwise direction in the infield area of the full oval. Not as technical as other tracks. Triple digit speeds can be achieved easily on the straights. This track does not have the abundant run off areas such as WSIR and SoW so caution is needed to avoid hitting walls. The Road Course is the other configuration that uses the interior course and half the oval. Also known as the “roval”, road course and oval combined. This is the more exciting configuration due to the possible higher speeds on the front straight of the oval and the wall looming to the right. It is possible that a car can ride on its bumpstops in turn 2 due to high speeds and g force loading due to the embankment. There are two hard braking zones entering turn 3 and 11. 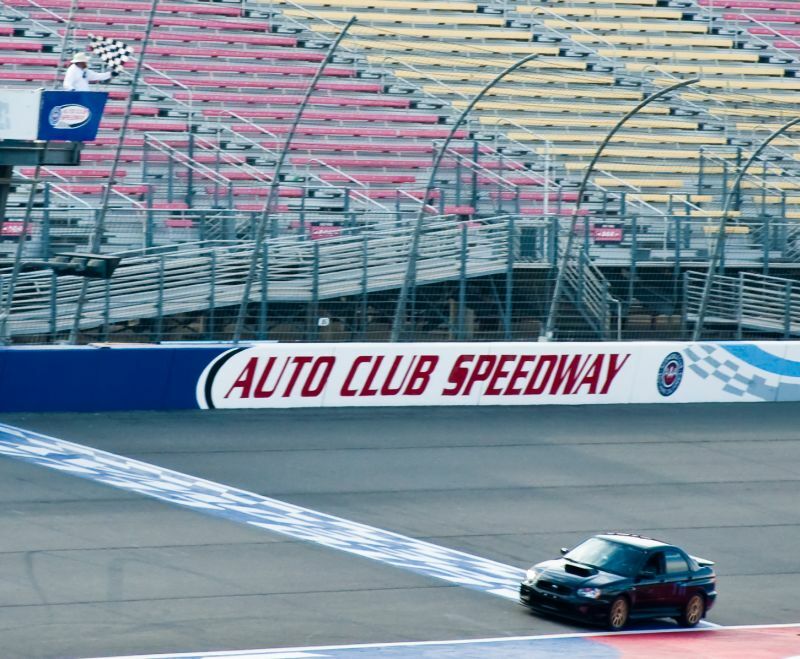 The whole oval configuration is usually used by driving schools such as the Richard Petty Driving Experience. The facilities at this track are top notch since it does have NASCAR events there. The VIP viewing areas above the hot pits provide great viewing of cars coming down the straight in the roval configuration. Fast food and pump gas is located nearby outside the track. The track also has race fuel at their pumps. The pumps usually only open on the hour and accepts cash. For lodging, the event organizer may have arranged discounts with the local hotels/motels.